'Fresh Air': Alisa Roth On 'America's Criminal Treatment of Mental Illness' : Shots - Health News While visiting jails and prisons across the country, author Alisa Roth witnessed mentally ill inmates in solitary confinement, wearing restrictive jumpsuits and receiving very limited therapy. Therapy, when available, was often conducted under stressful conditions. Roth describes one session in the Los Angeles County jail that took place through the slots of a cell door — forcing the prisoner and therapist to yell to be heard. "The entire [jail] tier can hear everything that you're saying," Roth says. "Especially in a place where showing any weakness can be really dangerous ... people are particularly unlikely to disclose anything personal or her that would make them vulnerable." 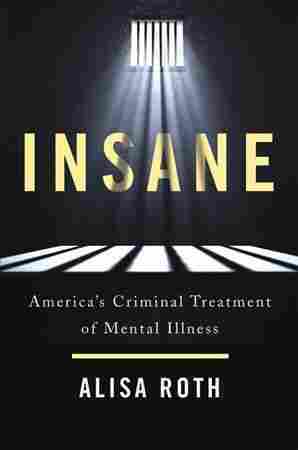 Roth chronicles her findings in the book, Insane: America's Criminal Treatment of Mental Illness. It's complicated, because statistics in the criminal justice system are notoriously poor and how we define mental illness is complicated. ... 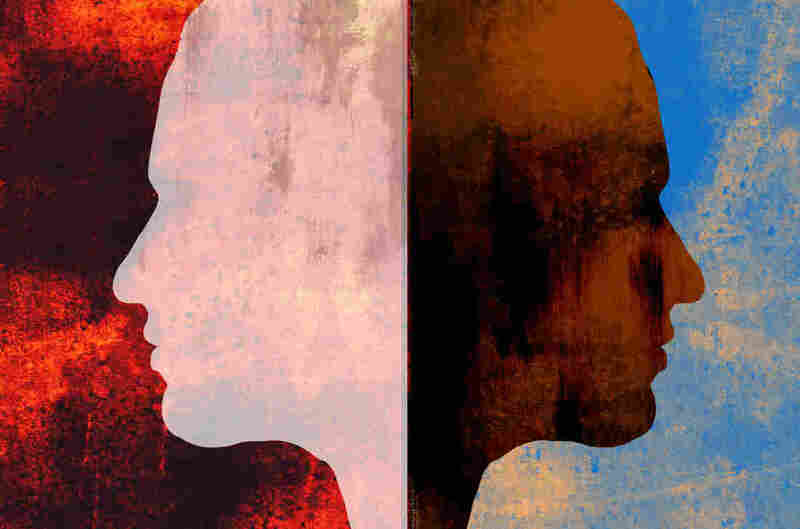 Some jails might count PTSD as a mental illness and others use people who are really underqualified to be to be diagnosing the disease and so end up with severe undercounts. But 50 percent is a good estimate. One of the other things that we see often is that somebody will try to hurt themselves — either an actual suicide attempt or a cutting "self-harm incident" as they're called — and [that person] will be punished for trying to commit suicide or for trying to cut themselves. And in this sort of irony of ironies, some states or counties have passed rules which say, OK this person has mental illness — the cutting is a symptom of the mental illness — so we're not going to punish that behavior. But then they'll be punished for something like possession of a weapon if they used a razorblade or a pencil to cut themselves, or they'll be punished for destruction of state property for tearing a sheet to tie it into a noose. Jails and prisons have all kinds of rules and regulations. ... Some of them are for security and some of them are just basically for the sake of rules, like where you have to stand when they do the count or where you have to stand to receive your food tray, things like that. And when people can't follow the rules, either because they don't understand them or because their paranoia makes them think that following the rules is going to get them hurt, the punishment is solitary confinement, which basically means being shut in a windowless room by yourself 23 hours a day. And it can make people who are sane completely mentally ill, but for somebody with mental illness it's absolutely devastating. ... If you're paranoid and you're afraid that your food is being poisoned or that people are out to get you, being locked in this room by yourself really makes it worse. The training [for a correctional officer] really suggests that you should take control, you should maintain control and when you feel like a situation or a person is getting out of control the response is to escalate. So: "Stand up. I told you to stand up. Stand up right now!" And it continues in that vein until the person complies or you have to use force to make them comply. For a person with a mental illness, particularly one who is paranoid, this is absolutely terrifying. It's terrifying for anybody. It's intended to be frightening, but for a person with mental illness it's incomprehensibly terrifying, and so the result is often that the person with mental illness responds in exactly the opposite fashion ... by lashing out or fighting back. And this leads to this cycle of escalation where really what you want to be having is de-escalation. In many, many places the corrections officers are really seen and used as the eyes and ears of the clinicians. And so the psychiatrists and the psychologists will come to the officers and say, "Who are your sickest people? Who needs to be sent out to the state hospital for treatment or who needs to go to our inpatient clinic inside the jail or prison?" And it puts the corrections officers in an odd position, both because they're forced to play this dual role of caretaker and enforcer, but, more complicated than that, is the fact that they really don't have the training. ... They haven't been given, in most cases, training to, say, identify schizophrenia versus depression. And because of, privacy rules, of HIPAA rules, they don't have access in most cases to the prisoners medical records. So they're responsible for caring for somebody, but they don't necessarily know what they're supposed to be looking for or what to do if they see a particular behavior.